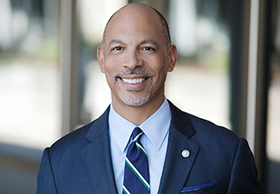 Three months after UNC Health Care and Carolinas HealthCare System announced they would form a joint operating company, a new special committee will review the plan. The six-member panel, appointed by the University of North Carolina's board of governors, will look into the proposed not-for-profit corporation that would result from combining the two systems. That corporation would be among the country's largest health systems, with more than 50 hospitals and more than 90,000 employees. The deal will require a definitive agreement between the two systems and approval from their boards. Together, the two systems would have about $14 billion in annual operating revenue. As a team, they plan to expand access to healthcare in rural parts of the state, where they currently have 14 hospitals. If all goes according to plan, the joint venture will be led by Gene Woods, the current CEO of Carolinas. The newly appointed special committee's members include attorneys, the founder of a hospitality group and the founder of a boat manufacturer. North Carolina created UNC Health Care in 1998. Already, the North Carolina attorney general is investigating whether the deal would hurt competition, and though his approval isn't necessary for the deal to go through, he could sue to stop it.